The area originally featured a Gothic-style water castle and later a Renaissance fortress. At the outset of the 19th century, the then owner of the castle Count Ján Keglevich pulled down the southern Renaissance tract of the castle built and replaced it with a Classicist one, which is considered one of the purest and most beautiful examples of architecture in the Classicist style in Slovakia. In the past, the castle was used as a summer residence of the Habsburg royal house. 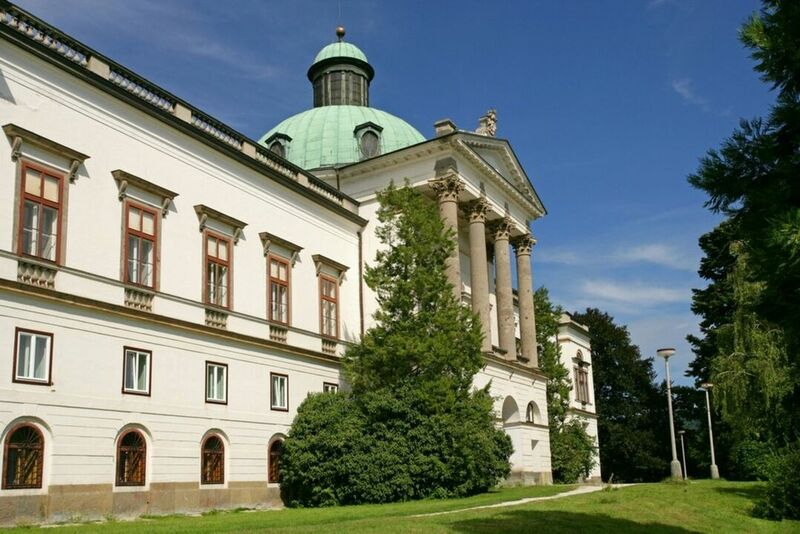 After WWI, it also served as a summer residence of Czechoslovak presidents. It was at that time that the castle's three Renaissance-style wings underwent their latest thorough reconstruction. T. G. Masaryk, the first president of the Czechoslovak Republic, especially liked to relax and work in this place. The Classicist tract was gradually turned into a museum. Today visitors can admire the library with more than 14,000 volumes, one of the few fully conserved Castle libraries in Slovakia. 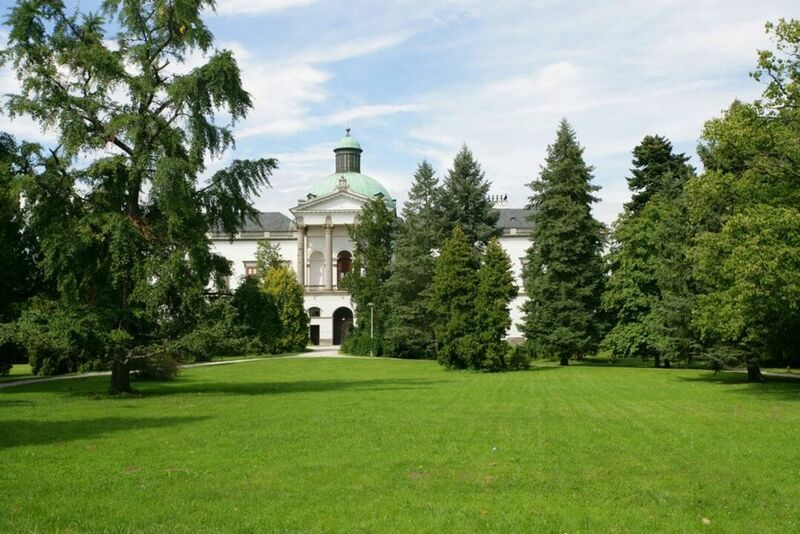 The interior and valuable historical furniture from the 16th to 19th centuries with splendid ornamentation and collections of porcelain and ceramics (one of the biggest in Slovakia) also deserve the visitor's attention.